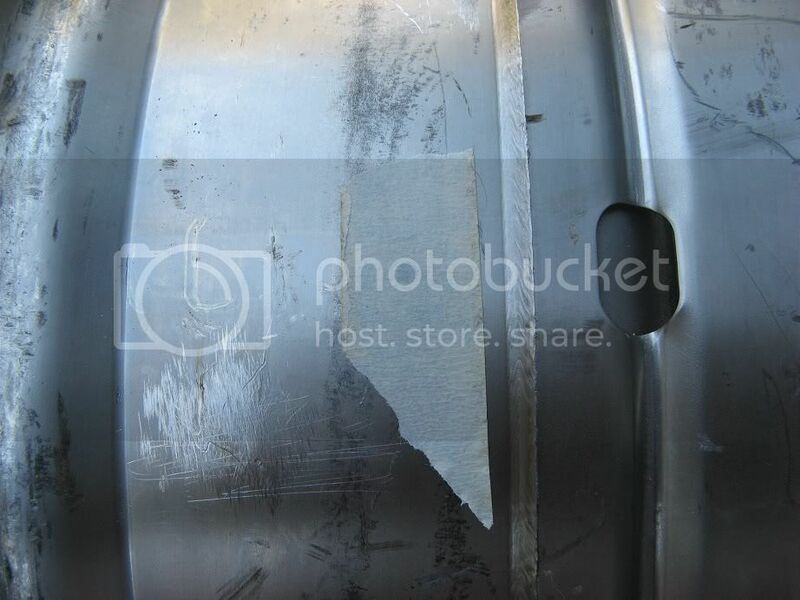 Drilling kegs is another topic that is a common source of discussion (and contention) among home brewers looking to build their own systems. 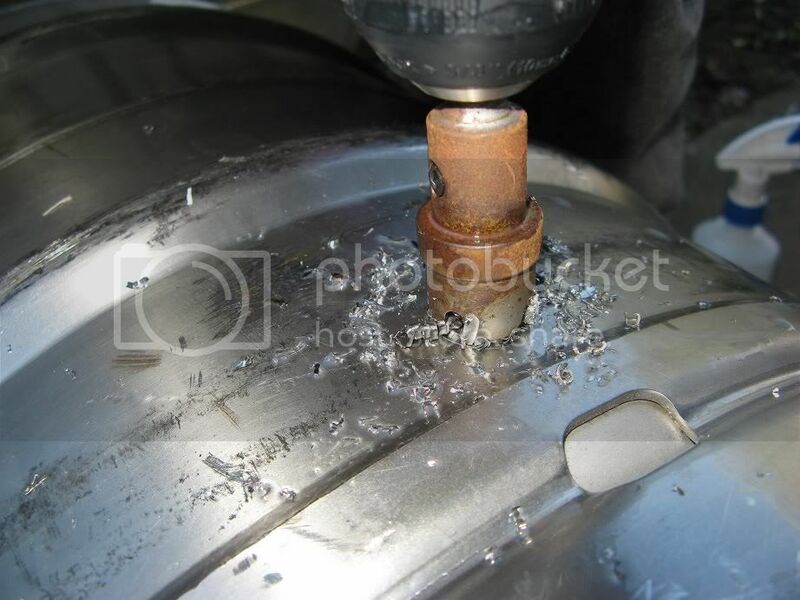 After using a cheap hardware-shop step-bit to drill the tap-holes on my beer-fridge, I knew that it would not be up to the task of cutting holes in the beer kegs. In addition, the various discussions I had read on the subject made seem like something that would be much more difficult than it turned out. 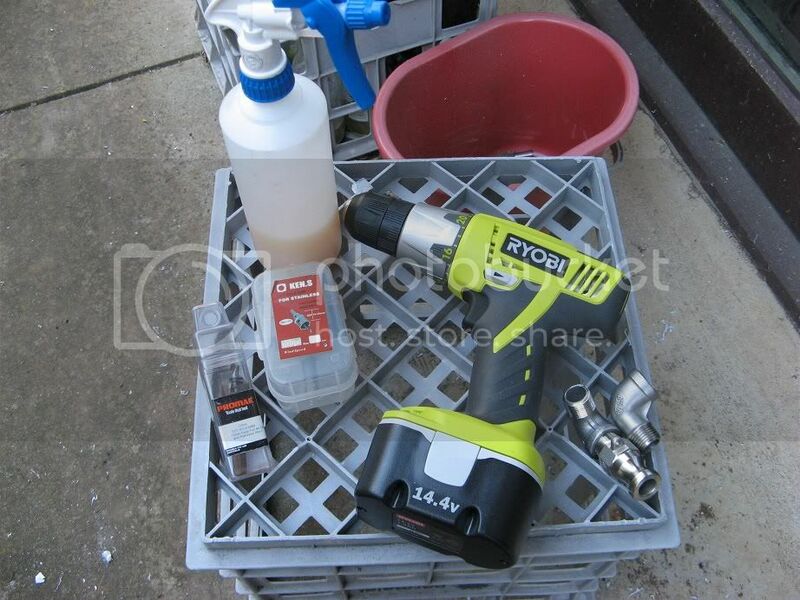 With the right tools, drilling plumbing-fitting holes in kegs is not so difficult, and in this case the right tools are quite simple; a drill capable of controlled sustained low speed (less than 300RPM) combined with a decent amount of torque, and a Tungsten Carbide Tipped (TCT) Hole Saw of the appropriate size. The hole saw (mine was AUD$30 Keg King) but it should last a life-time (the guys at Keg King have drilled more than 80 kegs with theirs and it's still working fine). 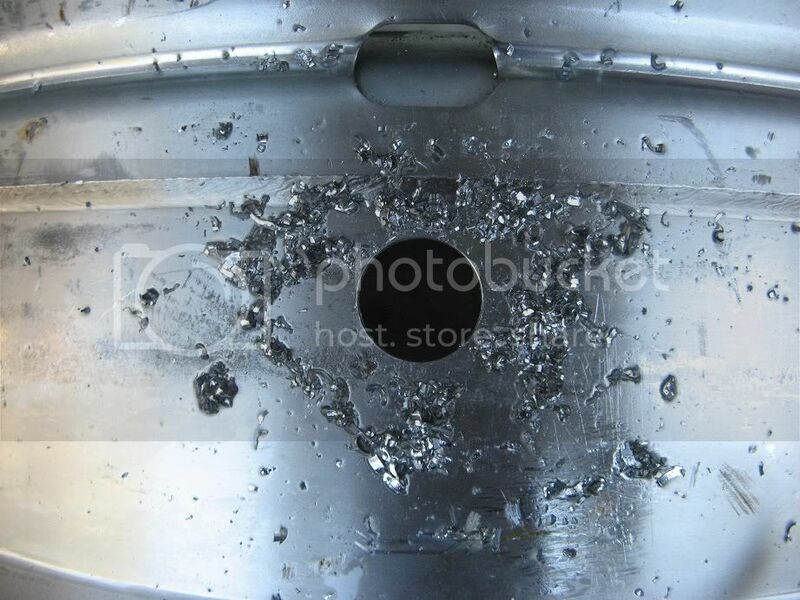 The only other thing needed is some cutting lubricant or WD40 to help keep things cool while drilling and prevent work-hardening the stainless and/or ruining the hole saw. 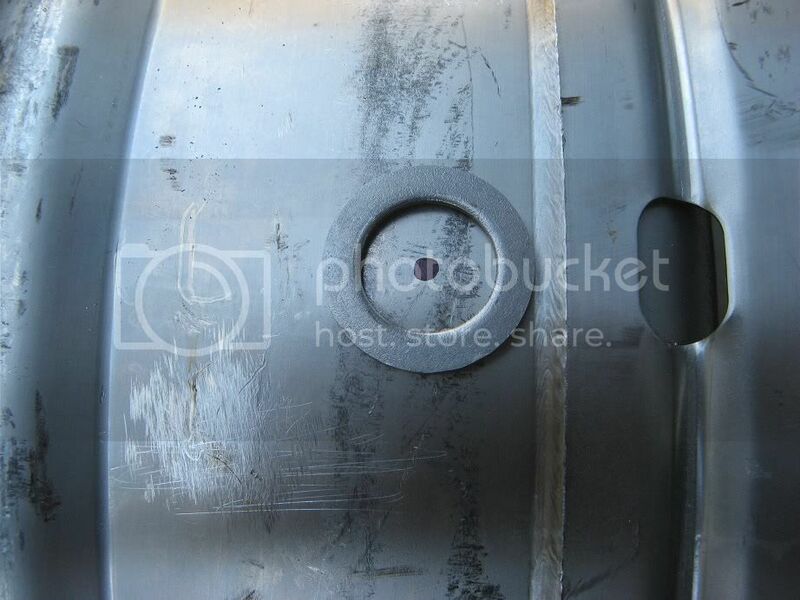 Mark the location to be drilled, ensuring that it's not too close to any seams or curved edges on the keg, using a washer as a spacer helps to ensure that the fitting will sit correctly once fitted in the drilled hole. 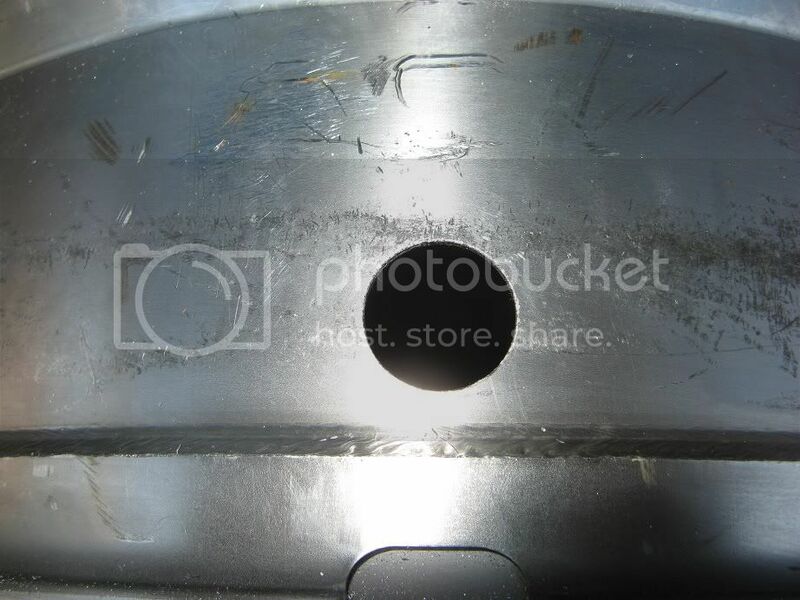 A piece of tape will stop the drill bit slipping on the curved stainless surface while drilling the pilot hole. Low speed setting on the drill, some decent pressure, stopping every now and then to spray on some more cutting lubricant. And in just a few minutes the hole saw should punch through the stainless leaving a nice clean hole. A 20mm size hole saw is just a fraction too small for most 1/2 inch fittings, but interestingly I have a range of fittings and the hole size required seems to depend on which fittings are going to be used, so it's good to check the individual fitting to ensure that you don't make the hole too big. 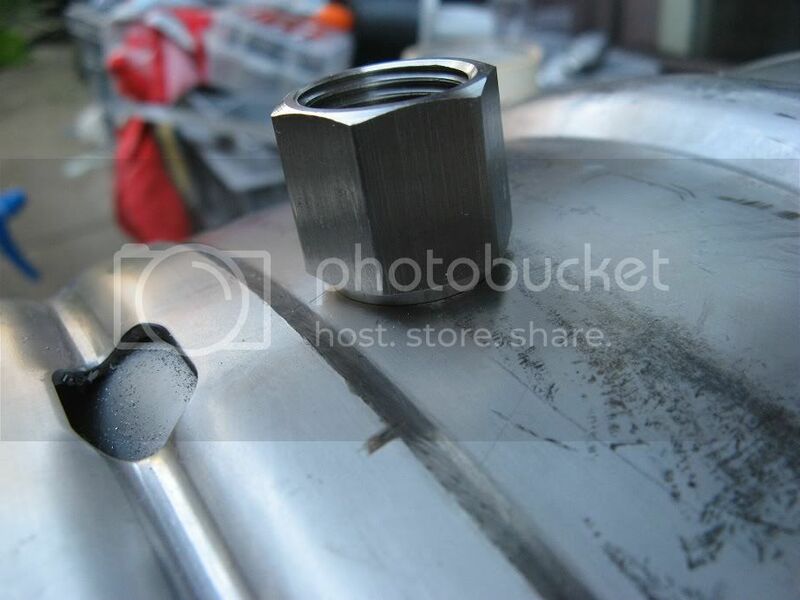 A small amount of manual labour with a file, a dremel type tool or anything similar will widen the hole just enough so that the fittings slip inside. 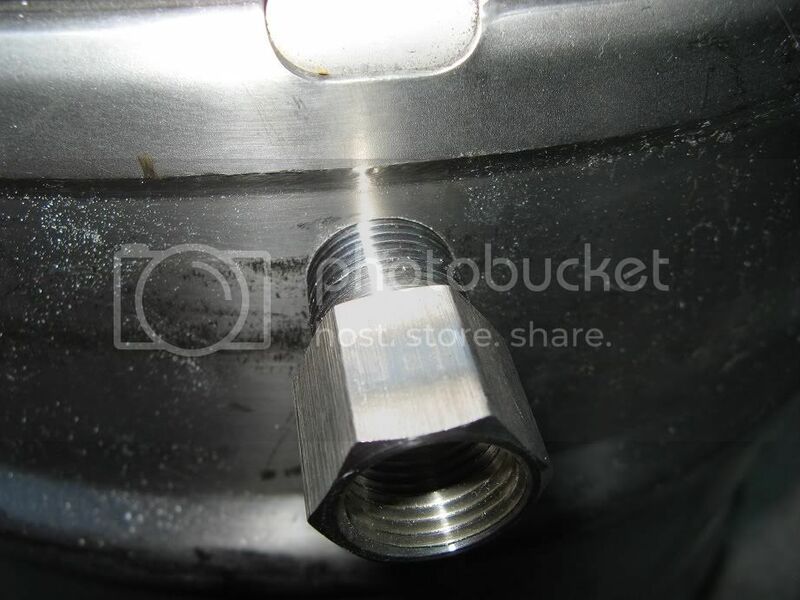 With the right tools, drilling neat, clean and easy to make 1/2 inch keg holes is actually a very simple and easy procedure that anyone should be able to do.